Mysuru: District in-Charge Minister G.T. Devegowda has instructed officials of Chamundeshwari Electricity Supply Corporation (CESC) to supply uninterrupted power to drinking water pumping units throughout the district including city. He was presiding over the KDP meeting at Zilla Panchayat (ZP) office here on Monday. MLA L. Nagendra said that water was not being supplied properly to a few parts of Chamaraja Constituency. Engineer of Vani Vilas Water Works (VVWW) supported that saying, CESC was not supplying power to Pumping Stations continuously. 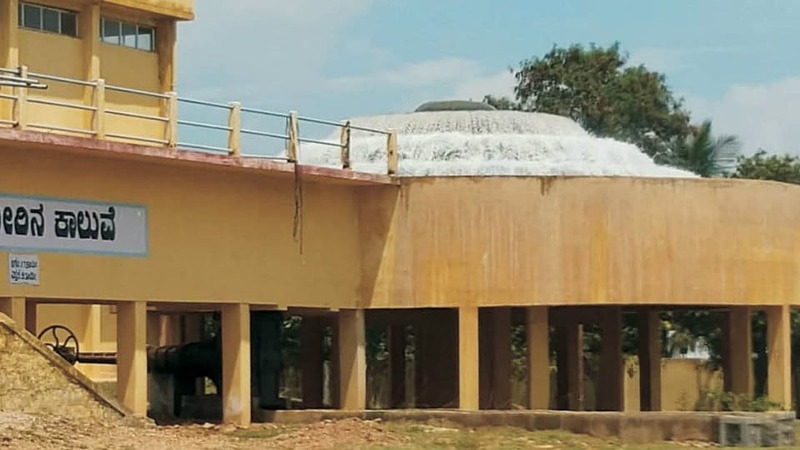 Devegowda asked MCC and CESC to co-ordinate effectively without affecting water supply and added that Housing Board Colony in Hottagalli too was facing water shortage. ZP Social Justice Standing Committee Chairman S.R. Nandish alleged that the SP had refused permission to install Ganesha idol at a Dalit Colony in Saligrama paying heed to some hearsay but permission was granted at other places. Replying to that, SP Amit Singh clarified that the said Colony was identified as a Sensitive Zone and hence permission was denied. Devegowda asked SP to refrain from any discrepancy decisions. MLA Anil Kumar alleged that about 800 bicycles provided by the Government for School students were gathering dust for the last two years at the godown. DDPI Mamatha clarified that the Department officials were probing the earlier irregularities in distribution of cycles to Schools. MLA L. Nagendra alleged that Mysore Medical College Hostel and Doctors Quarters were in bad shape. Devegowda asked MMC&RI Dean and Director Dr. P.C. Nanjaraj to look into the issue and propose needed changes. MLA Dr. Yathindra alleged that doctors at Government Hospitals were not protected properly and added that they often face the wrath of the relatives of patients. Devegowda asked the Health Department Officials to augment the security system at hospitals.